Welcome to all our new home delivery customers who previously received their daily newspaper deliveries from Southern Distribution. We look forward to providing you with the best customer service we can, as we have done for our customers over the past 20 years. A number of options are now available to you for account payments, stops and starts and general management of your account. Should you have any questions, requests or issues with delivery of your morning newspapers, please do not hesitate to contact us. When you need ink or toner visit www.pattersonroad.com.au/ink for toner and inkjet cartridges for all the main printer makes & models. You'll find original and compatible cartridges available to purchase for speedy delivery direct from our supplier's warehouse. Avoid the rush in getting organized for Christmas. Our Post Office hours include early opening, late closing and we're open on the weekend. There's no need to rush around and wait in queues. For all your Post Office needs find a time that suits you at Patterson Road Tatts, News & Post. In Community Corner we feature local events, community groups and businesses here in our newsletter and online at www.pattersonroad.com.au. Visit Community Corner online and right now you will find information about West Bentleigh Cricket Club, Moorabbin Bowling Club and Victory Park Tennis Club. We also feature local businesses such as New-Web, BP Service Station, Blow Out Hairdressing, Victorian Taekwondo Academy, Funeral Line Australia and Cafe Crema. 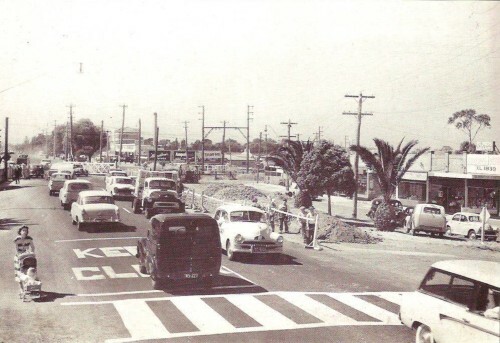 Also at Community Corner online you'll find a variety of historic photographs of our local area.